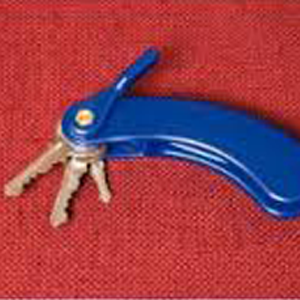 The Key Turner III, is a key holder designed to assist persons with limited wrist strength or movement. The Key Turner III features a heavy-duty plastic handle that provides extra leverage for turning. Keys fold into the handle when not in use.